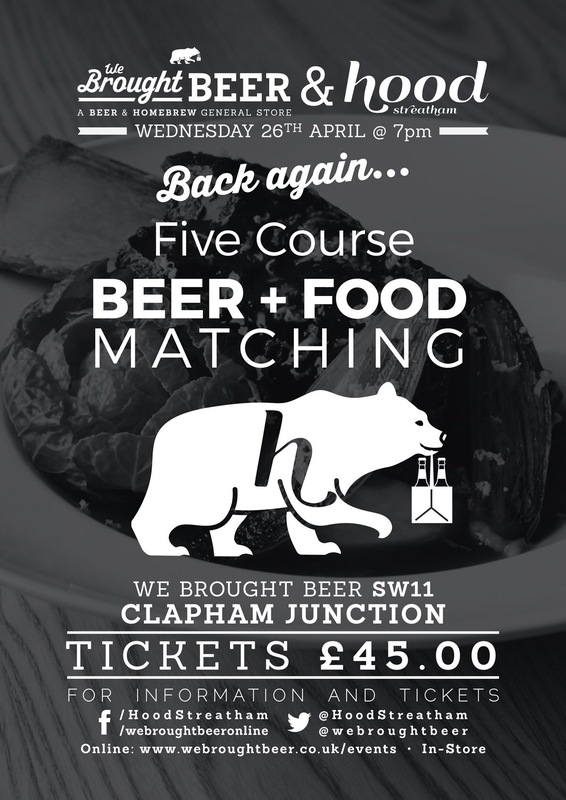 We can’t believe it either but this will be our sixth collaboration event with We Brought Beer, our favourite local bottle shop, and this time we will be over at their Clapham Junction store in their upstairs tasting room for another Chef’s table food and beer pairing evening. 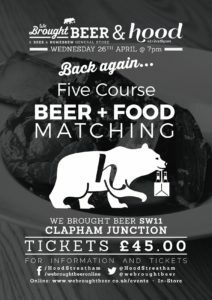 Well, five delicious courses of seasonal Modern British food paired with equally wonderful beers plus a welcome beer on arrival too. You will get to see our Head Chef Mike Brown in action as he prepares and plates up your food in our pop-up kitchen and he will tell you about each dish too. And our friends at We Brought Beer will introduce each beer and explain the pairing. Informative and enjoyable!